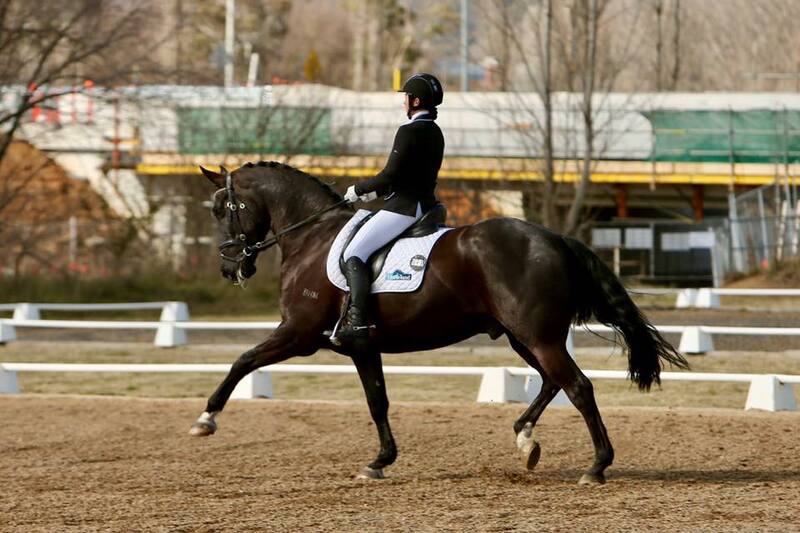 We took BHM Spanish Amor to the NSW Dressage Championships at SIÈC this weekend and had a great time! Congratulations to Rebecca Walshe and Denzel for placing 4th and 7th in the Elementary tests against a tough field! Rebecca Walshe and BHM Spanish Love winning Champion Advance Dressage Horse as well as winning her Medium test the day before. Not to be outdone BHM Spanish Amor placing 2nd and 5th in Elementary on Sunday and 4th and 2nd in his Medium tests on Saturday. I am so proud of this team who just keep getting better as they mature. We braved the weather with BHM Spanish Amor to compete at the ACT Dressage competition on Sunday and a big congratulations on winning both Elementary tests. Look at the smile on Rebecca Walshe's face! !